Thomas DeGloma received his Ph.D. in Sociology from Rutgers University. He specializes in the areas of culture, cognition, memory, symbolic interaction, and sociological theory. His research interests also include the sociology of time, knowledge, autobiography, identity, and trauma. Professor DeGloma’s book, Seeing the Light: The Social Logic of Personal Discovery (University of Chicago Press), explores the stories people tell about life-changing discoveries of “truth” and illuminates the ways that individuals and communities use autobiographical stories to weigh in on salient moral and political controversies. This book received the 2015 Charles Horton Cooley Book Award from the Society for the Study of Symbolic Interaction. 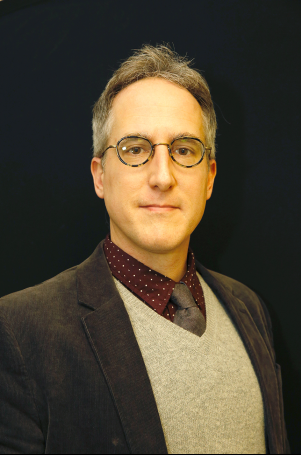 Professor DeGloma has also published articles in Social Psychology Quarterly, Symbolic Interaction, Sociological Forum, and the American Journal of Cultural Sociology, along with several chapters in various edited volumes. He is currently working on his second book, which explores the phenomenon of anonymity and the impact of anonymous actors in various social situations and interactions. DeGloma is also co-editing the Oxford Handbook of Symbolic Interaction (With Wayne H. Brekhus and William Ryan Force). Professor DeGloma teaches courses on cognitive sociology/social memory studies, interpersonal behavior (microsociology/symbolic interaction), and classical and contemporary sociological theory. He has served as President of the Society for the Study of Symbolic Interaction (2017-2018), Secretary of the Eastern Sociological Society (2016-2019), and Chair of the Hunter College Senate (2016-2019). Click here to download Thomas DeGloma's CV.